In glaucoma, damage to the optic nerve occurs due to high eye pressure (intraocular pressure). Treatments are therefore aimed at lowering the eye pressure in order to prevent further damage to your sight. 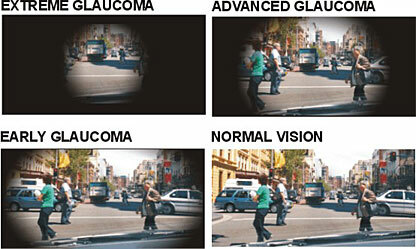 However, treatment cannot repair any damage or reverse any visual loss that may have already occurred. Regular monitoring and subsequent early detection and treatment are therefore vital for the prevention of blindness from optic nerve damage. How much lowering of eye pressure is required depends on how severe the optic nerve damage is. In general, normal eye pressure ranges from 8 to 21 millimeters mercury (mmHg). Ophthalmologists tend to start treatment if the pressure exceeds 30 mmHg. The ideal intraocular pressure level would be 14 mmHg or lower. 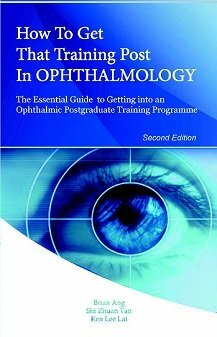 The first line of intraocular pressure lowering treatment is with eye drops. Intraocular pressure lowering eye drops act either by decreasing the production of aqueous (natural fluid in the eye) by the ciliary body, or by increasing the outflow of aqueous from eye by opening up the drainage channels. By keeping the eye pressure stable at a low level, your optic nerve is protected against further glaucoma damage. Some drops also improve the blood supply to the optic nerve, which is thought to offer additional protection to the nerve. Although you will not notice any improvement in your vision, the eye drops will reduce your risk of losing sight from glaucoma. Sometimes, even though the eye drops have been able to bring the intraocular pressure down, the pressure reduction is not enough. In these situations, you may need to undergo laser treatment or surgery. Eye drops are the first line of treatment for those with high intraocular pressures in glaucoma. They are very effective in bringing the eye pressure down. Once started, you will often have to remain on the drops over a long term basis. The 4 main classes of intraocular pressure lowering eye drops for the treatment of glaucoma are prostaglandin analogs / prostamides, beta blockers, alpha agonists and carbonic anhydrase inhibitors. 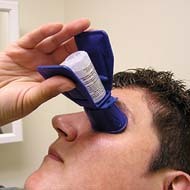 Pilocarpine is an eye drop that is also sometimes used, but more commonly for angle closure. It is generally no longer used for open angle glaucoma because prolonged treatment causes persistent small pupils which makes clinical examination of the back of the eye difficult. Prostaglandin analogs / prostamides eye drops encourage the drainage of aqueous from the eye. They are usually instilled once daily at night. The commonest side effect from these medications is the elongation and darkening of the eyelashes. Examples of this class of medication include latanoprost, bimatoprost, travoprost and tafluprost. The eyelashes can grow significantly longer when prostaglandin analog or prostamide eye drops are used for prolonged periods. 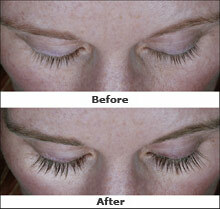 In fact, bimatoprost is now being marketed as an eyelash lengthening medication called Latisse. However, once the medication is stopped, the eyelashes will eventually return to their original length. Beta blockers reduce the production of aqueous. They are usually administered twice daily. Some long acting preparations allow once daily instillation. In elderly people, beta blockers may cause a slowing of the heartbeat, low blood pressure and lightheadedness. They may also cause shortness of breath, particularly in asthmatics, and hair loss. Examples of beta blockers include timolol, carteolol, levobunolol, metopranolol and betaxolol. Alpha agonists mainly reduce the production of aqueous, but also act to encourage aqueous drainage. They are usually instilled either twice or 3 times daily. The commonest side effect is redness and irritation of the eye. Alpha agonists should only be used with caution in children under 5 years due to possible depression of the respiratory and central nervous systems. Examples of alpha agonists include brimonidine and apraclonidine. Carbonic anhydrase inhibitors act by reducing aqueous production. They are usually administered twice or 3 times daily. They can also be taken by mouth in cases where the pressure lowering effect is insufficient with drops. The commonest side effects are bitter taste in the mouth after instillation and irritation of the eye. If taken by mouth, they can cause low blood potassium levels, tingling of the hands and feet and worsening of kidney problems such as kidney stones. Examples of carbonic anhydrase inhibitors include dorzolamide, brinzolamide, acetazolamide (oral) and methazolamide (oral). Mixed preparation eye drops combining 2 of the different drug classes above into 1 single bottle are also available. These include Cosopt (timolol & dorzolamide), Combigan (timolol & brimonidine), Xalacom (timolol & latanoprost), Duotrav (timolol & travoprost), and Ganfort (timolol & bimatoprost). Finally, pilocarpine acts by increasing aqueous outflow from the eye. 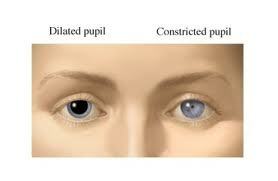 It also constricts the pupil and opens the anterior chamber drainage angle. It is used 3 to 4 times daily. Side effects include brow ache and blurred vision at night. Using your glaucoma eye drops daily as instructed is very important. If you are not sure whether the drop has gone in the eye, then try again. There is no harm in putting an extra drop or two if you're unsure. More is better than less in this situation. If you have to instill different drops at around the same time, make sure that they go in at least 5 to 10 minutes apart. An example of lacrimal occlusion after eye drop instillation. After instilling your eye drops, you should press on the inner corner of your eye for around 1 minute (2 minutes if possible). Keep your eye shut and try not to blink during this time. By doing this, you block your tear ducts from draining out the medication too quickly, and this maximizes the intraocular pressure effect of the eye drops. The eye drops are contained within plastic bottles which can sometimes be difficult to squeeze, although most people can manage. These days, most drops can be used with gadgets and aids that make the bottles easier to handle. This is very helpful in the elderly and in those with hand weakness or hand movement difficulties, such as in rheumatoid arthritis sufferers. Sometimes your eye drop regime will have to be changed. This is usually because the drops either do not lower your intraocular pressure enough, or they are causing side effects (see above) that you are not able to tolerate. In these cases, the eye drops are simply replaced, or new drops are added to the ones that you are currently already using. If you experience any difficulties or problems with the intraocular pressure lowering eye drops, do let your ophthalmologist know as soon as possible. If your problems are from eye irritation due to the preservatives in the medications (such as benzalkonium), preservative-free and preservative-minimal preparations are available. The important thing is to get you on effective treatment for your glaucoma with as little side effects as possible. In eye drop intolerance, your eyes will sting with each instillation of the eye drop, and may persist for a few minutes after that. Your eyes and eyelids will also become red and irritable. When these occur, do not persist with the drops. Stop them immediately.